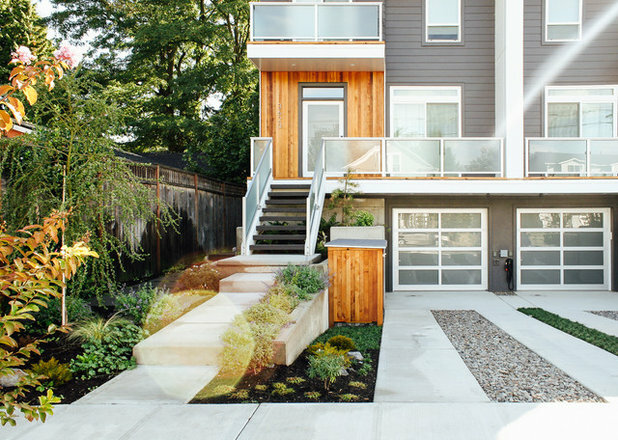 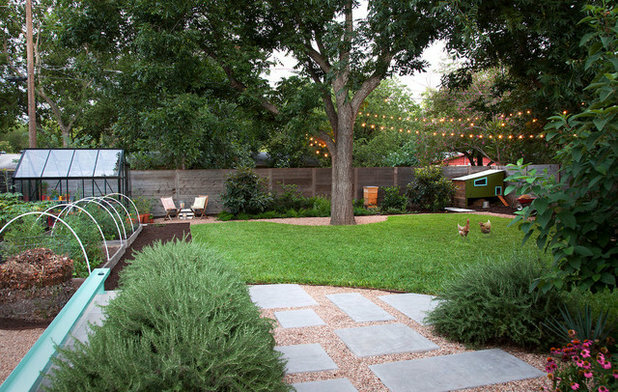 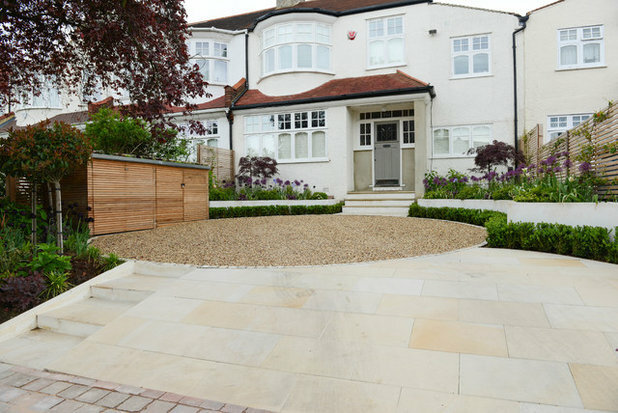 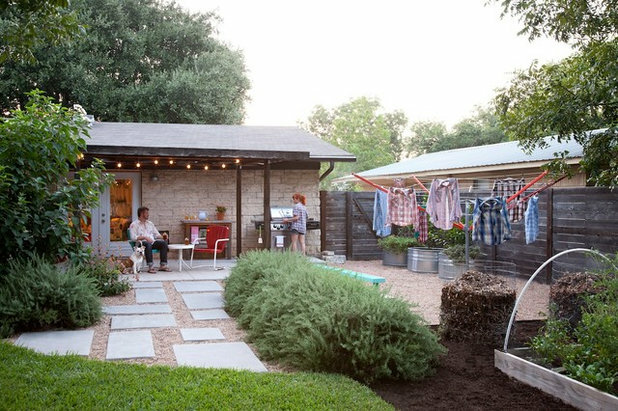 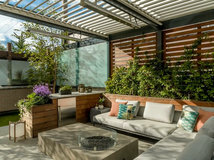 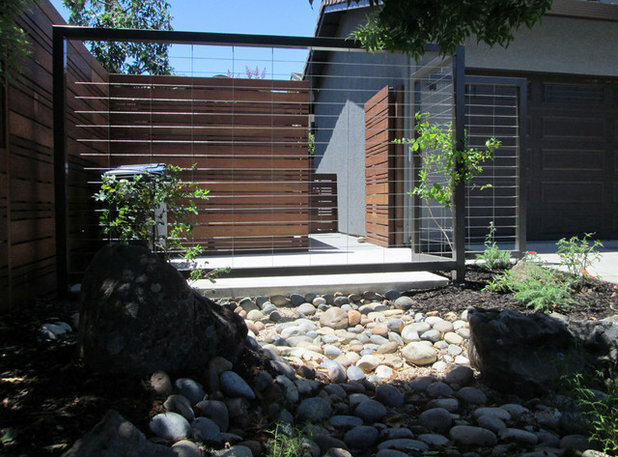 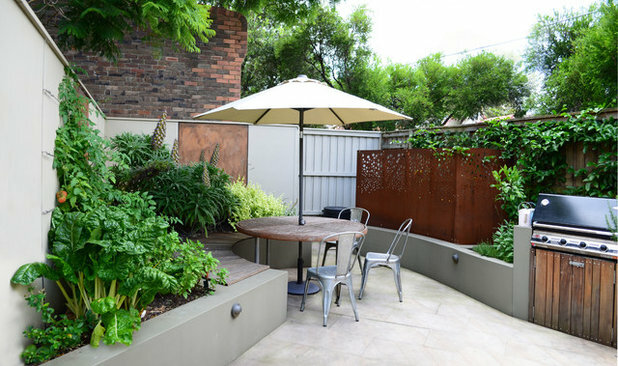 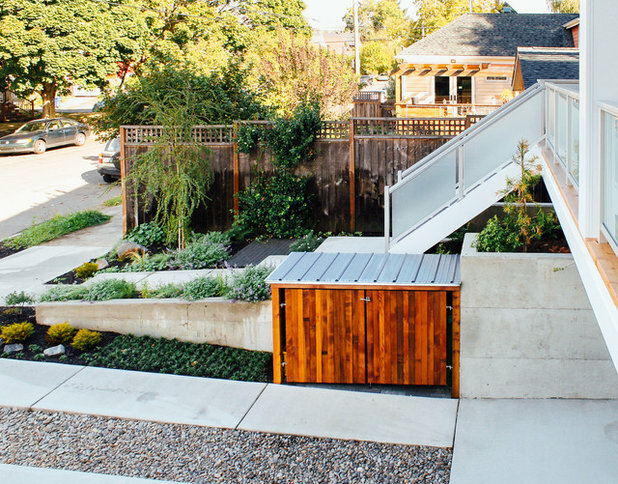 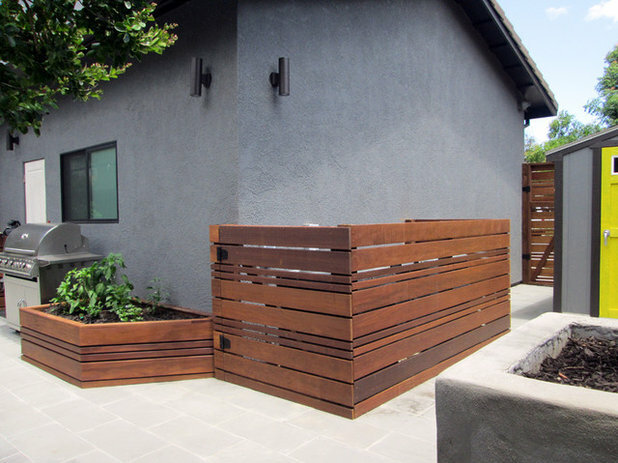 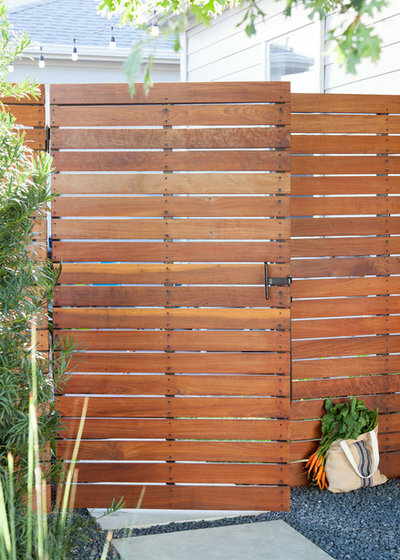 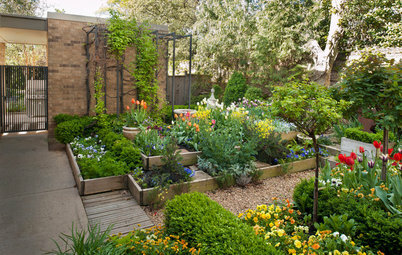 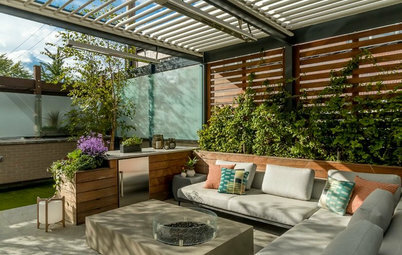 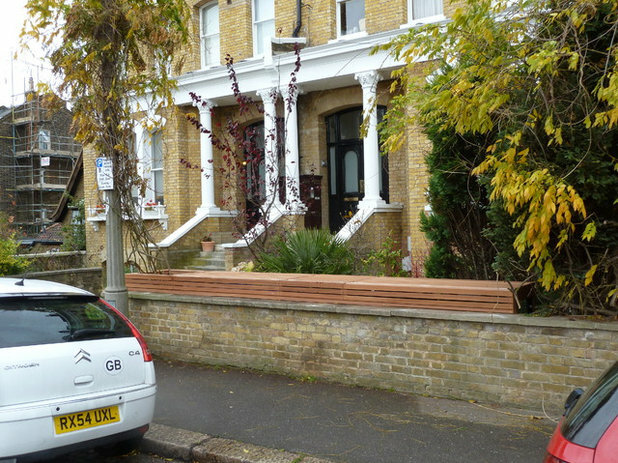 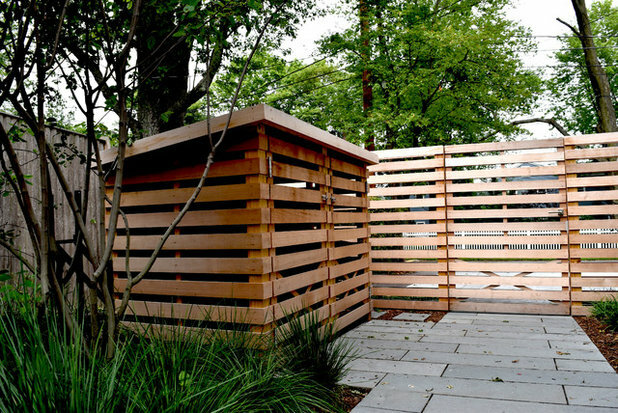 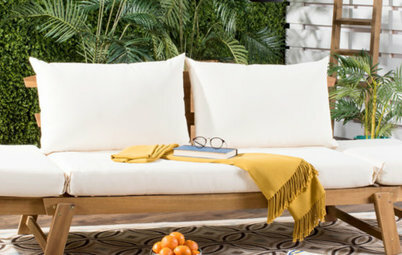 Keep reading to see how Houzz designers devised creative solutions for these less attractive but highly practical landscape elements, including concealing them behind a fence, enclosing them with a leafy screen or hiding them in the side yard. 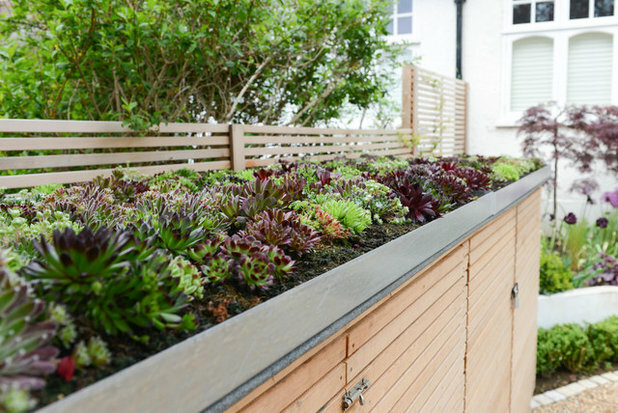 While the enclosure visually recedes into the fencing, the living roof of hens-and-chicks (Sempervivum spp.) 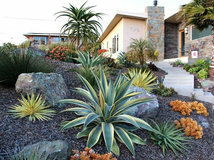 stands out as a mini frost-tolerant dry garden. 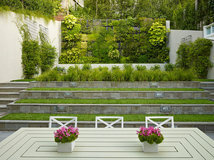 One would imagine that when viewed from the home’s upstairs windows, the succulent-topped enclosure would blend into the larger garden beds. 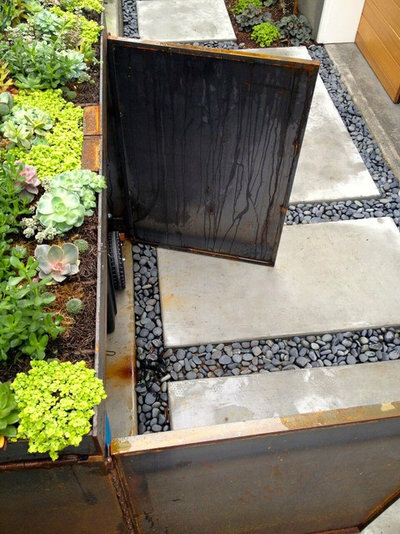 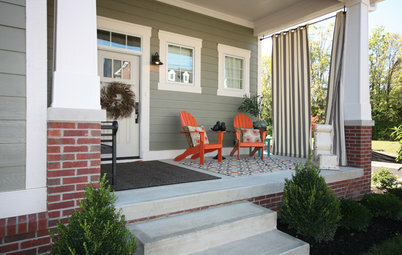 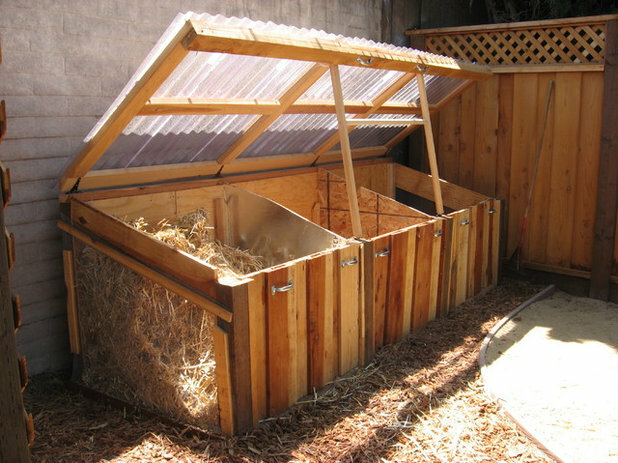 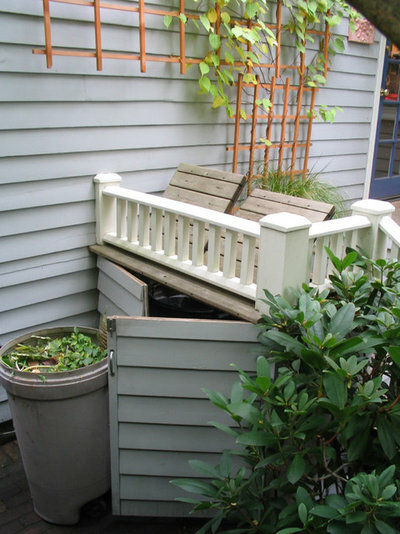 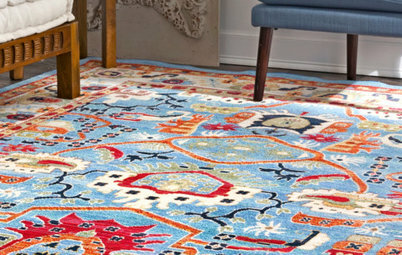 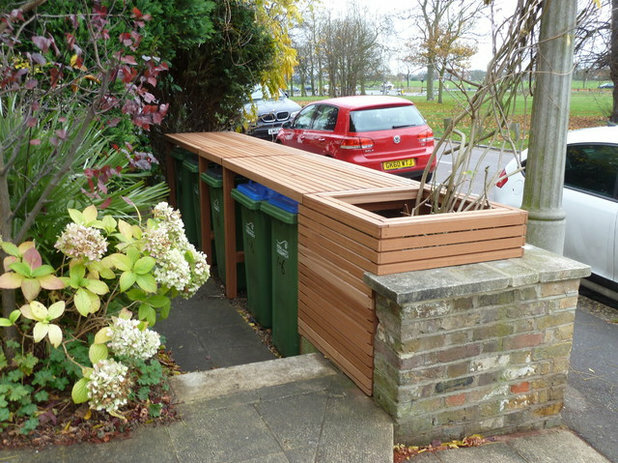 Tell us: Do you have organizing solutions for garbage bins, compost piles or typically unsightly garden elements? 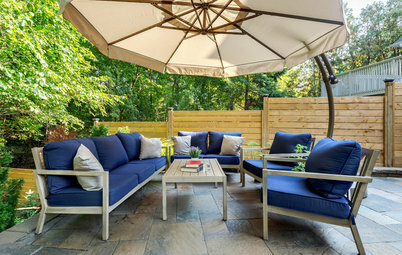 Share them in the Comments. 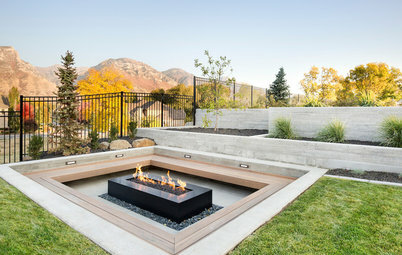 @fred spillway You can also put them underground and have them grounded in case of lightning striking a tree nearby and travel the roots to the tank and pipe that enters the home. 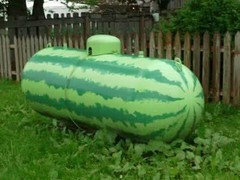 The old tanks didn't have a grounding system. 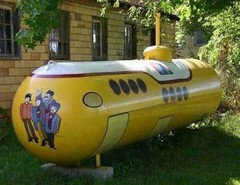 Paint can be cheaper and fun!